Do you go out shopping with every intention of buying something colourful but always end up buying black? Have you ever gone out feeling that somehow your outfit just isn't right but don't know why? 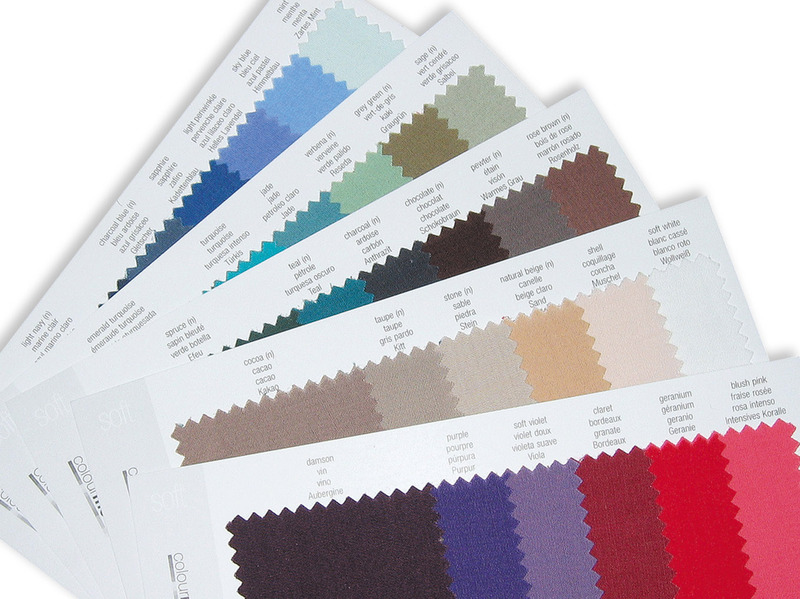 A personal colour analysis will show you why particular colours complement you better than others and how to wear them to your best effect. Don't think I'll be sending you off to buy a whole new wardrobe because I will show you how to make the best of the clothes that you already have, maybe adding a few items to bring it all together. To complement that I will also give you a full make-up to show you how to marry together your fabulous new look. You will receive a personal 42 swatch shopping wallet so next time you go shopping you will know exactly what colours to look for and won't end up buying that black dress ... again! Cost is £125 including a full make-up and personalised colour swatch wallet. Did you have your colours done years ago and feel that your colours have changed? I can offer you a re-assessment of your colours - this one-hour session includes make-up application and a review of your colour palette. I will assess which colours in your wallet are still correct for you and additional swatches can be purchased at £6.50 each. If your colouring has changed dramatically, you will be able to purchase a complete new wallet of 42 colours. By taking into account your body shape, proportions, scale, style personality and budget I will show you how to wear clothes that flatter your shape and style and will make you feel ultimately more confident and feel like YOU and not what the magazines say you should look like! We will determine your 'style personality' and assess your body shape. With this information we can then discuss the best styles, fabrics, patterns and accessories to make the best of your features and how to disguise those you are not so keen on. I will ask you to bring along several outfits, some you like and some not so much, and once we have found out your true style we can discuss these outfits and the good and maybe not so great features of them. You will receive a personalised 28 page style workbook that you can refer to which will have all the information that we discuss during your consultation. Do you have a drawer full of make-up but none of it looks quite right on you, or goes with each other? Maybe you have a drawer with your old favourites but can't get up the courage to go to the make-up counter and try out something new? Perhaps like many of us you've never been able to make up your mind what your face shape is. With a personalised make-up lesson using the Colour Me Beautiful range of specialised colour cosmetics, I will show you how to apply the right colours and products to complement your colouring, personality and face shape. We will discuss how best to care for your skin, how to apply a quick and easy, and just as importantly, a long lasting make-up. You will leave with the confidence and knowledge that you are able to apply and wear the right products and colours to enhance your natural features. Cost is £40 and the make-up lesson lasts about an hour. 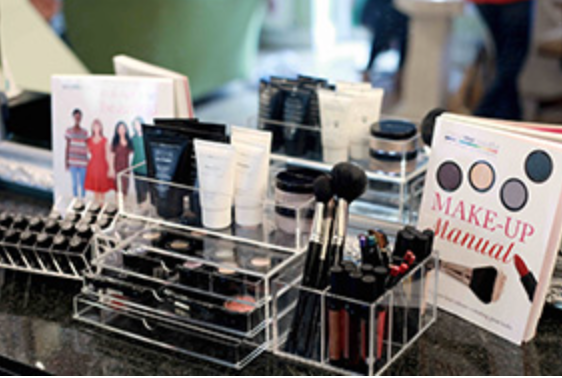 You will leave with all the knowledge and tips you need to apply your make-up with confidence. Sometimes in life we need to stop, take stock and make a decision to take a really good look at ourselves. With this premium service we will look at the best colours, styles, materials, patterns, accessories, basic hair styles and colours that will make you feel ultimately more confident and feel happier about how you portray yourself. We will discuss outfits for specific occasions, be it a wedding or an interview and give you the tools to go shopping with confidence. As well as all this you will get a full make-up. Cost is £230 (I saving of £20 on booking sessions individually). This cost includes the full colour analysis and full personal style analysis. You will take home a 42 colour swatch wallet and a 28 page personalised style workbook. I will go through the new season's looks and show you which ones work best for you and why. You will learn about the 'must haves', the make-up trends and where the best places are to shop for your shape and colouring, always taking your budget into consideration. You will also be shown how to re-style pieces that you already have and learn simple ideas for updating your wardrobe and accessorising to keep your look current. You will recieve a Style Update card as a guide to all that you’ve learned in the session. Do you have a wardrobe full of clothes but nothing to wear? Maybe you find it hard to put outfits together from the clothes that you do have. Would you like it quicker and easier to find an outfit to put on without throwing most of it on the bed before deciding on what to wear? During your wardrobe edit we will decide how your wardrobe needs to work for you, sort clothes into those to keep, adapt, put into storage or maybe donate to a good cause. We'll put into place a system to make life easier and to make the best of the clothes you have. We will then see what staple pieces would be a good investment to make your wardrobe work it's best for you so next time you go out, the bed is clear and you can easily find something to wear. This is also the perfect next step after a colour and/or image consultation. Cost is £45 per hour, minimum 2 hours. Do you have a special occasion coming up and need the perfect outfit? Maybe you go shopping with good intentions and come home with something you didn't want or need and doesn't go with anything else you own and it stays in the wardrobe with the label on. Perhaps you're just ready to update your wardrobe with some new fashion pieces. I can provide you with a personal shopping service that will see you purchasing items that will not only flatter you, but also combine with your current clothes to enhance your wardrobe and your overall look. If you have already had the colour and/or personal image consultation this is the perfect next step. Cost is £45 per hour (plus expenses if applicable), minimum 2 hours.